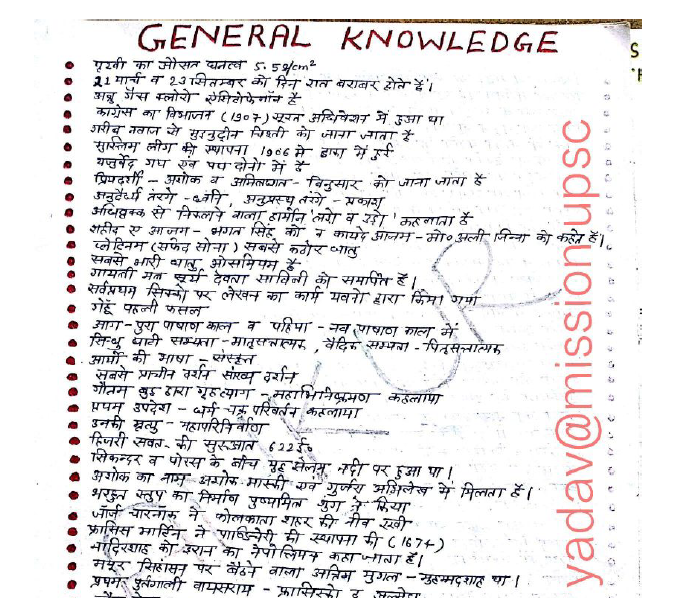 Dear Aspirants, Today we are sharing e-pdf of “General Knowledge Ankur Yadav One Liner Hand written Notes” for competitive exams. This notes is very useful for upcoming examinations like SSC CGL, CHSL, MTS, UPSC, RRB and other Competitive exams. You are advised to Download PDF from a link provided given below.